Kathmandu, 16 April: NMB Bank has announced the launch of a bumper product offering – NMB Sabaiko Sahara Bachat Khata’ in line with the government’s campaign ‘Lets Open Bank Account’, which has been initiated to increase financial access and inclusion of the unbanked population in the country whereby ushering a wave of social, geographic and economic upliftment. As part of the government’s umbrella campaign, the Bank shall deposit NPR. 100 in every new NMB Sabaiko Sahara Bachat Khata opened and tops off with major highlight of insurance facility upto NPR. 10 Lakhs against 18 critical illnesses, accidental death and permanent total disability. The account further offers highest interest rate, free Demat account, internet banking and mobile banking plus the option to avail either NMB Visa Debit Card of NMB Delight Card which offers free withdrawals from any ATM across the country. NMB Bank currently has network strength of 110 branches, 99 ATMs and 4 extension counters across the country. NMB Bank has been recognized as The Banker’s Bank of the Year – Nepal in 2017 & 2019”, by The Financial Times, London in 2017 and 2018 consecutively. The Bank has a Joint Venture Agreement with Nederlandse Financierings-Maatschappij voor Ontwikkelingslanden (FMO); one of the AAA rated Banks in the world. NMB Bank has chartered a road map focused on Value Based and Sustainable Banking which encompasses investments in renewable energy, hydro power, infrastructure, tourism and agribusiness which are key drivers for long term economic growth of the country. 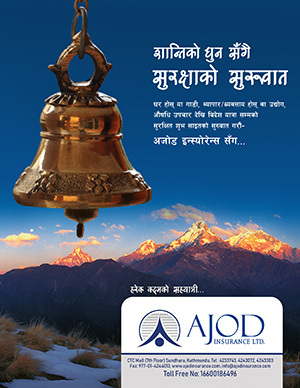 It is the only Bank in Nepal to become a member of the Global Alliance for Banking on Values (GABV).